Sought after Oakmont model on beautiful private lot. 3 bedroom plus den. Bright open floor plan. Granite kitchen counters, Maytag SS appliances , wall unit built in living room and den. Newer washer/dryer, garage door, hot water heater, garbage disposal. Pool screen enclosure has been replaced with a strong hurricane resistant enclosure. Accordian hurricane shutters throughout , screen enclosed front door area. Plantation shutters in den. Built solid by DiVosta this home is in a great location. 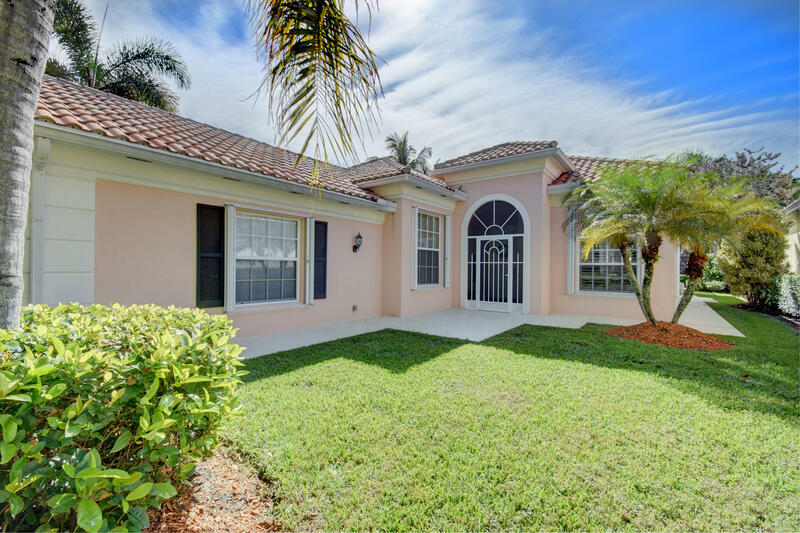 Close to shopping, beaches, restaurants and exciting night life in downtown Delray Beach. Waterfront: Canal Width 1 - 80 Yes Canal Ft.